Clear, directional audio on the GO! Compact and light weight by design, the VideoMic GO delivers clear, crisp, directional audio with incredible ease of use. It needs the Pearstone 3' black Stereo Mini Male to Stereo Mini Female Cable as its general purpose extension cable with a mini (3.5mm) male plug at one end and a female jack at the other end. 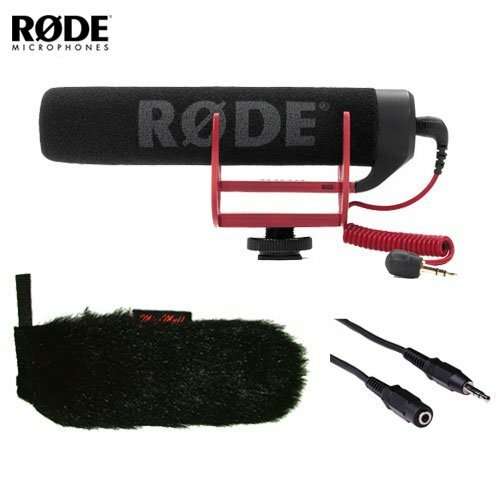 The windscreen cover is designed to fit the Rode Videomic Go, it features long fur and offers wind noise reduction of up to 20 dB when you are recording outside.